It&apos;s a positive step that, two years on from &apos;dieselgate&apos;, and quite a scrap with big car-producing nations, the EU has finally put in place tougher checks which - if implemented robustly - should help prevent cheating by auto makers like that seen with Volkswagen. The measures go in the right direction, with European oversight of national authorities&apos; testing of cars and enforcement powers. The commission will be able to check cars, make recalls and impose significant fines on firms caught cheating. At the same time, excessive burdens on manufacturers appear to have been avoided. A balance has been struck but one that should at last mean cars do what manufactures say they do, within certain caveats (quite how Brexit fits in with this is anyone&apos;s guess). The measures could, for example, go further in bringing in outside independent experts to beef up credibility and transparency - this had been opposed by some car-producing nations. And real world testing of CO2 emissions is still very much needed. But it&apos;s a big step in the right direction and one that&apos;s much needed in the wake of the dieselgate emissions-fixing scandal that engulfed the world&apos;s biggest car maker, Volkswagen (VW), back in 2015. In case you missed it, the VW scandal unfolded as one of the greatest corporate disasters in history and one that will eventually cost the company somewhere in the €25 - €35 billion range (think recall costs, brand damage, lost sales, discounts, fines and law suits). This automotive &apos;Libor moment&apos; also led to more cities and governments restricting the use of diesels in polluted cities, something we have seen already in cities like Paris, which plans to ban older diesel cars from 2020. London&apos;s ultra-low emissions zone aims to stop the dirtiest diesels driving through the centre of the city. Other cities will follow. Government attitudes have turned as well, with those such as in the UK saying they will ban &apos;pure&apos; petrols and diesels from 2040. And in the wake of the VW scandal, we now see both tougher testing of emissions and fuel efficiency by regulators that better reflects real world driving conditions and EU oversight to make sure national governments are testing properly. These measures in turn are likely to make diesel-powered cars more expensive to produce if they need to be fitted with systems that better clean up their waste emissions, thus affecting their popularity. 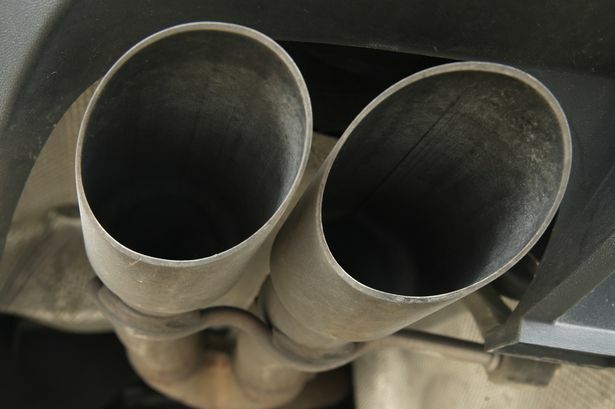 For years, diesels were pushed by European manufacturers and governments as a supposedly clean alternative to petrol cars in tackling climate change, producing lower tail pipe CO2 emissions and offering better fuel efficiency. But that ignored their effect on urban air quality as testing was not rigorous enough to pick up their harmful impacts. That is now changing. Diesels sales accounted for over 52 per cent of the European car market as late as 2015, in stark contrast to other major markets where diesel sales were tiny. That figure has fallen to 43 per cent today and could drop as low as 15 per cent by 2025, according to some estimates, as a massive shift away from diesels occurs. Consumers are spooked by a &apos;perfect storm&apos; of concerns over tighter regulation in cities, new tax rates, resale values, and tighter &apos;real world&apos; testing. For years, European governments effectively subsidised diesels through car tax rates and in so doing slowed the transition to hybrids and electric cars. China next to ban diesels and petrol engined cars? Interestingly, Japanese and American car makers have gone down different technological routes in trying to tackle greenhouse gas emissions. The Japanese - and Toyota in particular - went down the petrol hybrid route while US firms like GM and Tesla have gone into pure electrics and plug-in hybrids. While BMW has at least made significant invest6ments in electric cars like the i3 and i8, it&apos;s the European premium players (BMW, Audi, Mercedes Benz, JLR and Volvo) which are now particularly exposed to a diesel downturn and may have placed the wrong &apos;bets&apos;. Their average CO2 emissions could rise sharply, increasing the potential for EU fines for 2020 emissions standards non-compliance. They will also need to spend heavily on technology to replace diesels with battery-electric, plug-in hybrids or even fuel cells. Firms like JLR and Volvo have said they would offer electrics and hybrids across their entire fleet from 2019 or 2020. But they are playing catch up with the likes of Tesla. The decline of diesels also poses a major risk for banks and financing companies, which will have to write off millions due to worsening diesel residual values. Petrol hybrids and electric cars will likely emerge as winners from the VW debacle and legislative tightening. But so far, apart from Tesla&apos;s in roads into the premium market, sales of pure electric vehicles (EVs) have been something of a disappointment. EV take up has only really happened on a big scale in Norway thanks to substantial government support. As our new research shows, a range of factors have hindered the take-up of electric vehicles, including a lack of confidence in electric vehicle technology and performance, uncertainty over the lifespan of expensive batteries, a lack of awareness of the incentives available that make electric vehicles cheap to run, and a relative lack of model choice, linked to a perception that electric vehicles are not very stylish. Ultimately, the range capable by EVs needs to double and prices halve before this really becomes a serious goer outside of urban areas.But I can see that happening by the mid to late-2020s when EVs start to out compete traditional petrol and diesel cars. Looking ahead, the VW scandal may have given existing car firms and new entrants a big incentive to step up investment programmes in electric (and autonomous cars) given a demise of diesel. And we are set for some genuinely disruptive and transformational new entrants and automotive technologies. Maybe, there will indeed be a societal silver lining to this corporate diesel cloud, after all?